Reads this review by Nalini Iyer for The International Examiner of Peacock in the Desert: The Royal Arts of Jodhpur, India. 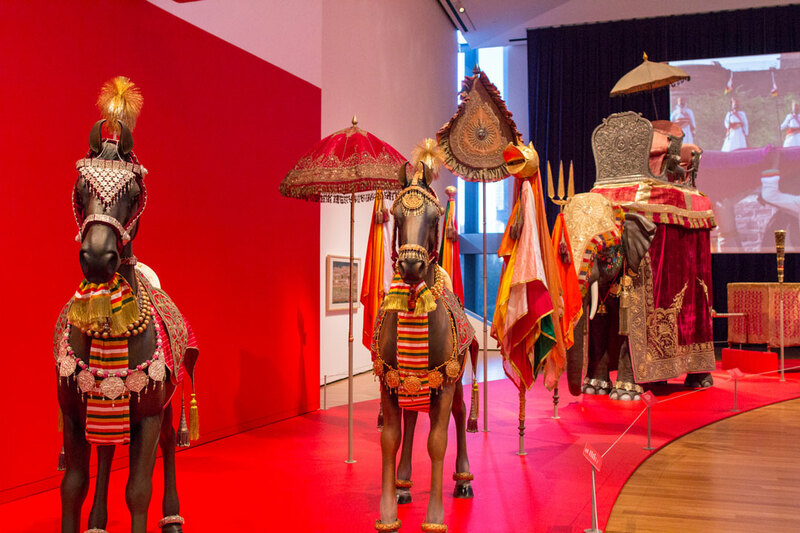 And watch Princess Shivranjani Rajye of Marwar-Jodhpur share why she thinks our exhibition is so special. Seattle Magazine has a great list of event recommendations for the month of December—mark your calendars, buy tickets, go to there. “I Returned to The Nutcracker as an adult.” Seattle Met’s Stefan Milne watches the Pacific Northwest Ballet’s Nutcracker and floats between its various worlds. Daudi Abe for Crosscut reviewing Bold As Love, the new exhibition at the Northwest African American Museum that explores Jimi Hendrix’s Seattle roots. Mwatana for Human Rights has released a document—titled “The Degradation of History”—that lists 34 archeological and cultural heritage sites that have been damaged in war-torn Yemen. The New York Times on the just-released report that calls for France to return pieces of African cultural heritage to their home countries; there have already been initial responses from African officials. A compelling piece of post-post-modern video art about those now 7-5 (!) Seahawks.